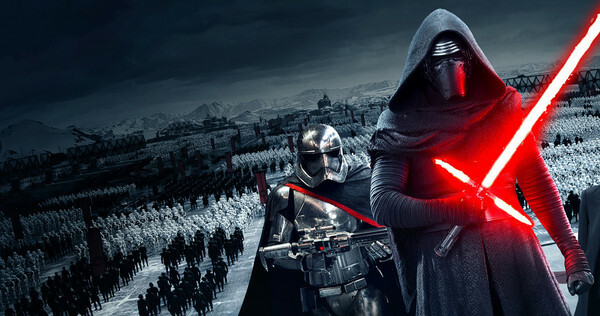 We now have less than four weeks before The Force Awakens releases in theaters. This is truly the final countdown. Are you as excited as we are? It seems like the whole world is excited! As we get closer to the big movie premiere, we’re probably going to continue to see teasers and ad spots. While we were told there will be no more official trailers, we are seeing regular TV spots and Internet ads and you can probably expect to continue seeing them right up to release. This one contained some pieces of old footage with some new footage spliced in. We see Rey and how she is waiting for her family. We hear words of encourage, as in the previous footage, but then we also see what might be her character’s castle under attack, we see a brief glimpse of Kylo Ren without his hood and we see a mass Stormtrooper salute. It has some old and new, some historical parallels and a lot of excitement, as with every ad and trailer we’ve seen so far. To add even more to this awesome weekend of The Force Awakens teasers, we also have an actual clip from the movie featuring Rey and Finn escaping.